ubuyfurniture.com can help you find the perfect Table for your living room. We have hall tables, accent tables, end tables, cocktail table, coffee table, sofa table, and more. 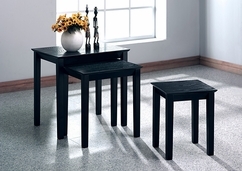 Our Tables ship FREE to the continental U.S. ,usually within 3-4 business days!